Before joining Seneca I completed my Bachelors in Animation and Film Making from a university in New Delhi, India. After that I started working as a 3D animator in a small studio. Over there I got a chance to work with software called real flow and maya fluids for some commercials and TV Shows. That brought up my interest into effects and I decided to change my career path. Unfortunately I couldn't find any good Visual effects courses in India so I decided to move to Canada and then I found out about Seneca. I chose to join Seneca because it was one of the few colleges that offer you to teach high-end software like Houdini, Maya, Nuke etc and all the teachers were senior artists and supervisors working in the VFX industry for years with big Hollywood movie names under their belt. I had a great time in Seneca, in the beginning of the course it was comfortable for me because I had good knowledge of maya and I was pretty much having fun with learning motion tracking and compositing in nuke, I always tried to do something extra with the assignments given to me. But then, it started getting complicated as we go deep into learning Houdini and Maya Dynamics but I always used to ask questions or email my queries to my teachers who were always there for my help. I knew that I wanted to be an FX Artist so I decided to start building up my demo reel from first semester only. I worked really hard with my full dedication to complete my shots, sometimes I even had to stay all night in VFX lab. But in the end my hard work finally paid off. I ended my course with a good demo reel and a job as an FX artist/TD in a big animation studio in Toronto. Well, as a FX artist/TD my job is to create various kinds of effects like dust, tornado, fire, clouds, splashes, debris etc. and since I am working on a full cg project its even harder as the look should match to the requirement of the director. it's when my composting skills comes in handy. I am also a TD so I have to create rigs that can be used by other artists for their own shots eg, snow fall rig, ocean wake rig etc. All of the techniques that I am currently using at work on daily basis is pretty much learned during my vfx course at seneca. First thing I would say is make your decision if you really want to work in the vfx industry. Because this industry requires lots of hard work, patience, dedication and both technical & artistic skills. Most people thinks that it would be really cool to watch your name coming in the movie credits but they don't realize how much of hard work is required to reserve that place for yourself. I would recommend anyone to have some 3d knowledge preferably in maya before taking up this course. It would make your life easier. Make your goals in the beginning and plan your time accordingly. Pay attention to what your teacher is teaching even if he is answering to any question of your classmate. Never hesitate in putting up questions and keep asking for suggestions from others for the shots your working on. Finally hard work and your full dedication is the only key for success in VFX or any field. So always try your best and no one can ever stop you. ALL THE BEST to all of you guys and thanks for reading my profile. I am pretty sure I will meet some of you at some time in this industry. Just keep up the good work and always follow you dreams. 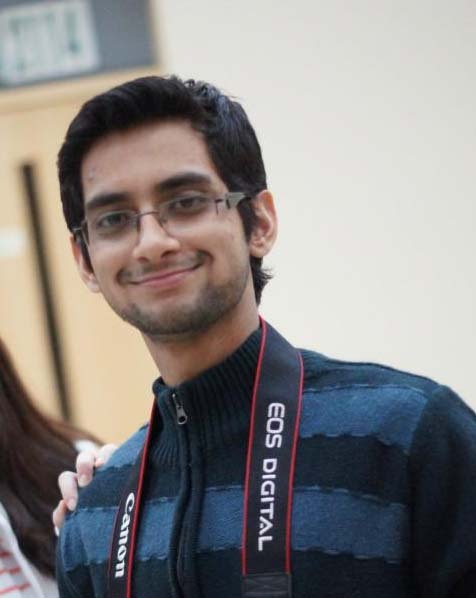 (The video on this page is Aneesh's demo reel when he graduated the program in 2012).